Interested in creating your own online portfolio to share your excellent software development skills with the world? 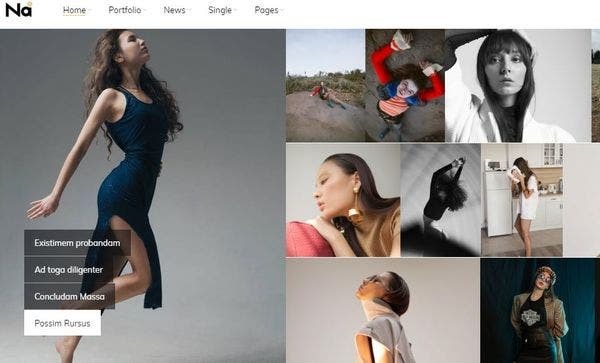 Start creating your portfolio with these handpicked WordPress themes that are highly responsive, equipped with portfolio pages and many more features to create a striking professional portfolio website. 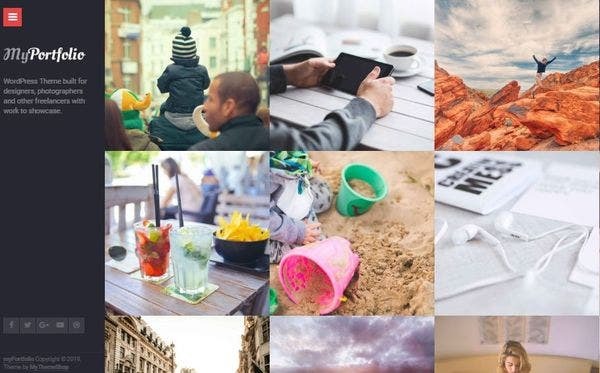 Don’t rush, take your time in selecting the best WordPress theme that suits your profile. 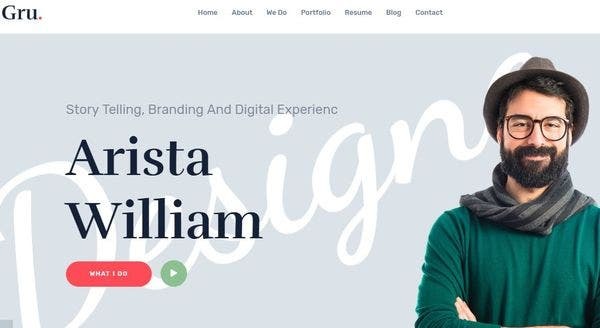 Here is a list of best 21+ Developer Portfolio WordPress themes for you to showcase your skills and talents in your profession. Gru Theme makes your site look exactly the way it should be in all devices and browsers. With Demo Data importer, you can set up your site and start customizing it in few minutes. Built with Bootstrap, the most popular and responsive framework. Further, when you purchase Gru, it gives lifetime free access to the future updates. The powerful Cherry Plugins enhances the functionality and the efficiency of the site. The plugins include Cherry Projects, Cherry Search, Cherry team members etc. The entire WordPress theme, the compatible plugins and the sample data, all could be installed in a few clicks. 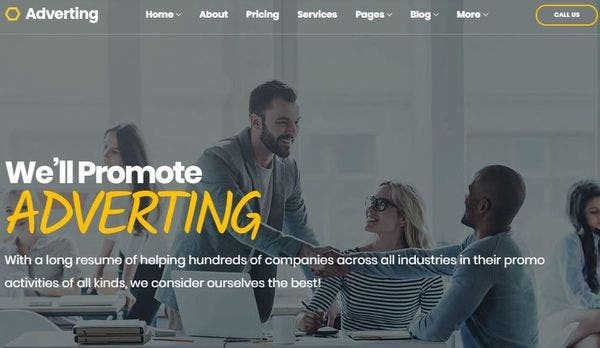 Adverting is equipped with a rich set of content modules facilitating the addition of different content types like sliders and contact forms to the page. 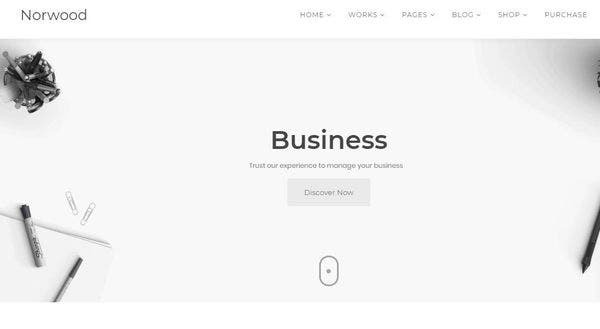 Norwood comes with Merlin WP, a stylish WordPress theme setup wizard that is highly-configurable and takes the set up and on-boarding of the WordPress themes to the next level. It has numerous page variation that includes 10+ website concepts. Just fill in your original content and you are good to go with your website! IT theme works perfectly well with the WordPress Multilingual Plugin, hence lets you to translate the site into various languages. Supports an amazing collection of 600+ fonts and comes with a fabulous slider to facilitate image sharing. The filterable portfolio and custom widgets are a few of the salient features of this developer Portfolio WordPress theme. 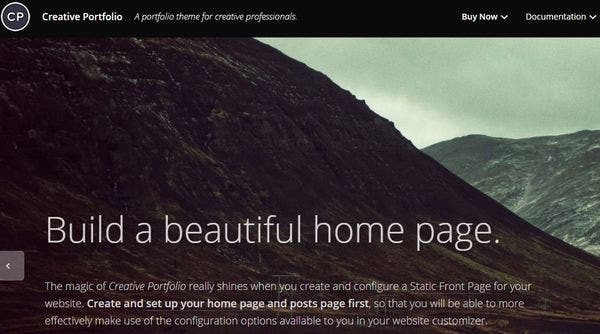 This theme is powered with a visual portfolio editor that lets you create attractive portfolio layouts. It is capable of generating shortcodes to show portfolio either in masonry or tile layouts. The modular architecture and advanced memory management make it faster than many other themes. Powered with drag and drop WPBakery page builder. SKT TUBE has a video slider with options like pause time and various animation effects. Supports an in-built video gallery while you can add your own gallery using the compatible video plugins. 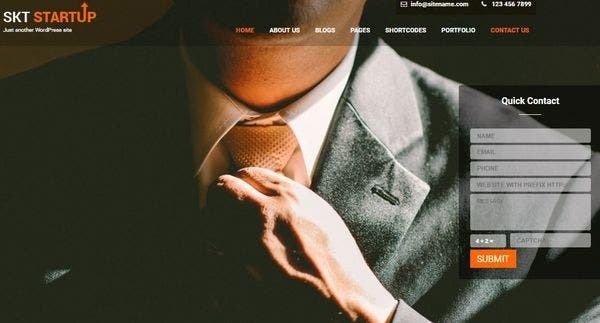 This WordPress theme permits having layouts with the freedom of choosing the sidebar location or without the sidebar at all. The page loading is fast and translation ready with the required pot files. The MotoPress Editor Plugin lets you edit your website with ease. Manage the page elements in the visual mode just by a drag and drop template. Effective IT Solution helps you build multilingual websites with its WPML plugin. This theme works absolutely fine across all the browsers. So, your portfolio site is sure to be visited by multiple potential employers. 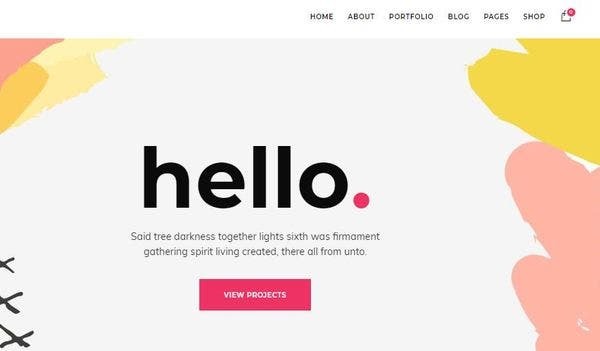 Creative Portfolio theme lets you portray your recent projects, featured content and recent blog posts on the front page of your site. There is also provision for you to have a feature video on the home page. The footer widget lets you add more details like the physical address, email address and social media links. This way you are sure to impress the potential employers with your impressive portfolio. 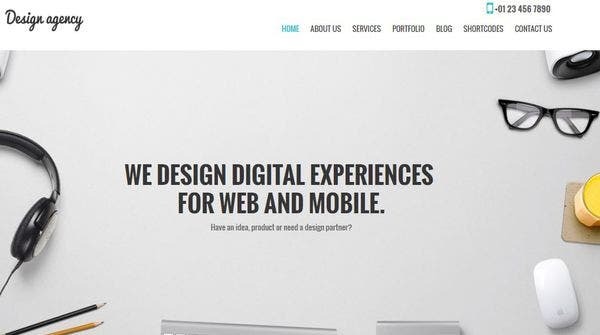 TheNa has a horizontal theme layout and would make your site stand out from the crowd. This theme has a shortcode generator that lets you customize your site without dealing with the codes. 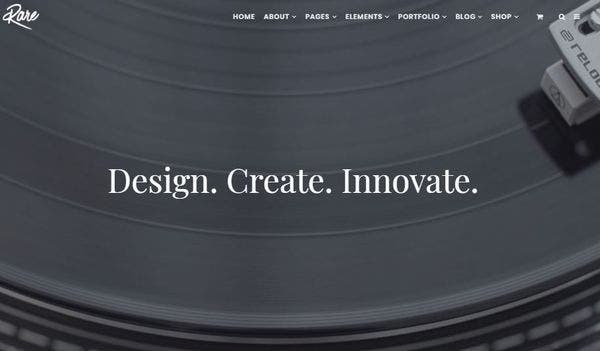 This theme has 3 styles of portfolio templates and ample options for customizations. Supports multiple Ajax style for posts and lets you build the gallery in no time. 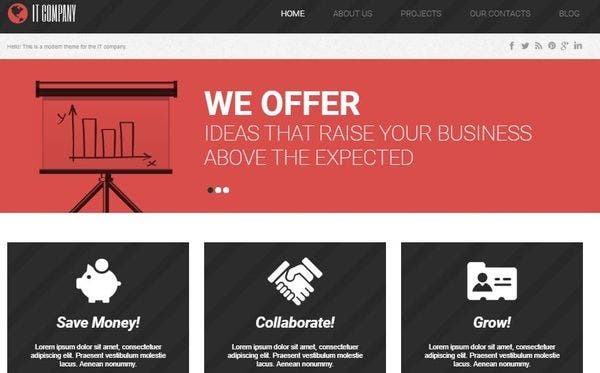 Symbolic IT is powered with Bootstrap framework and hence working with Html code and JS is no more a tedious job. This theme is equipped with WordPress SEO plugins that aids in building an SEO friendly site. So, your site is sure to achieve higher ranks in google search, enabling you to receive more visitors to view your portfolio. This theme supports “Hire Me” call to action, video portfolio posts and live theme customizer. The PhotoSwipe LightBox supports all touch effects like swipe to the next or previous image, pinch to zoom out or close and spread to zoom in. This theme comes with easy installation and a proper documentation to assist the installation process. 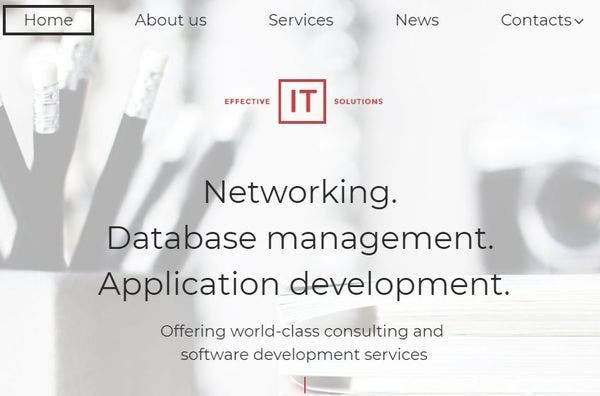 IT Company theme comes with the Parallax effect, thereby making the background picture move at a slower pace while the content articles shift at a faster pace. 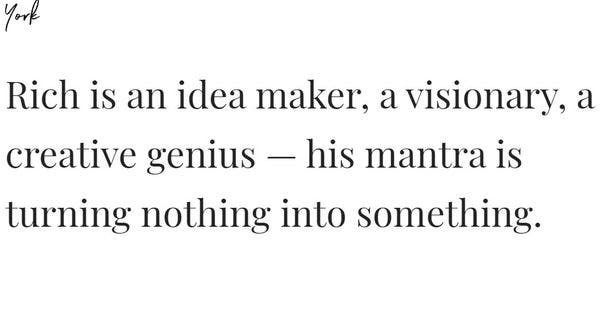 It actually creates a feeling of space for the visitor. 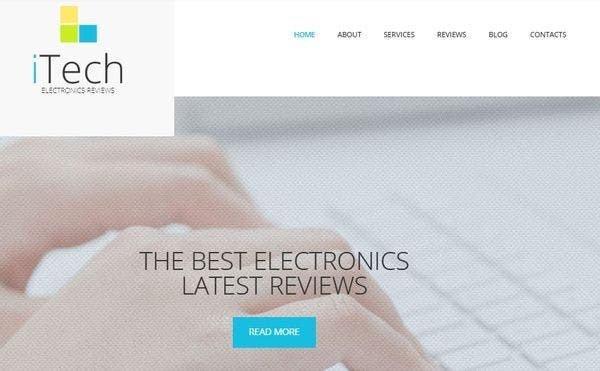 IT Company is Retina-ready theme and hence works perfectly well with high-resolution Retina Displays. SKT SEO theme has an inner banner that can hold iframe, image, video and contact form. This theme works perfectly across all browsers and devices. Facilitates leads generation to your websites through proper call to action buttons. Compatible with multilingual plugins like Polylang and qTranslate X. The coding is well commented for proper understating thereby facilitating easy code editing. Live Theme customizer lets you alter the color, layout and see the changes live before publishing the website. You can go in for any of the predefined designs available, if not interested in customizing. Comes with 4 different portfolios and blog pages template. Equipped with portfolio category sorting. It is a one-page layout and hence you can showcase your work, projects, contact info everything on a single page. Rare supports video backgrounds. Why not have YouTube videos background with parallax effect to create a visually impressive site? 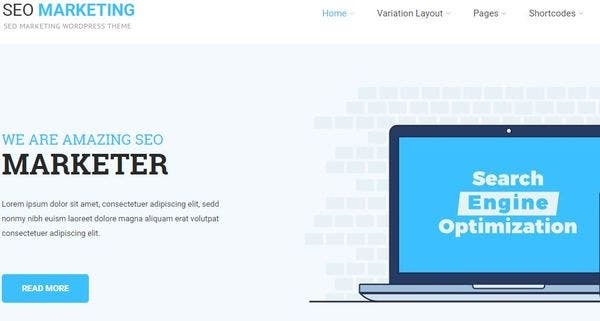 This SEO Optimized theme supports slider plugins that aids in managing slideshows with stunning animations. Comes with easy social media sharing functionality, child theme compatibility and is translation ready. This theme has both front end editor and back end editor. 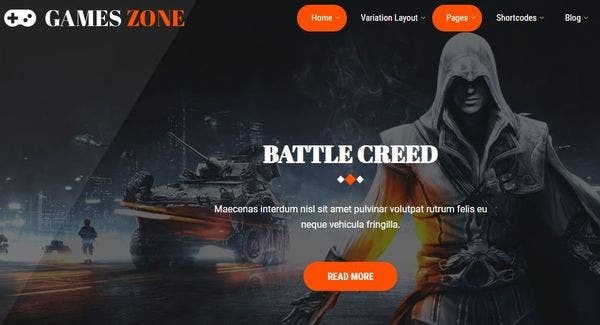 Game software developer theme have 5 menu levels, thereby allowing the site to have a proper and easy navigation across the site. Comes with pages like 404-page, search page and other archives that completes any website. Comes with tons of shortcodes, and allows further addition of shortcode plugins too. 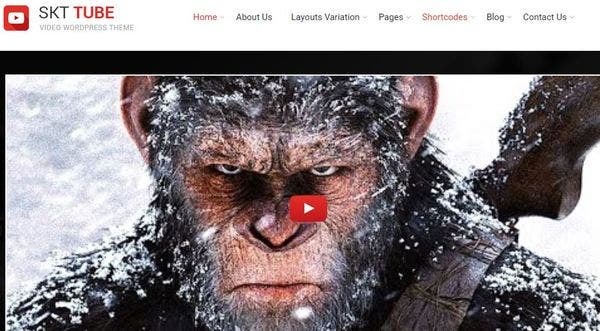 Compatible with slider plugins like revolution slider, crelly slider among many other sliders. myPortfolio tech WordPress theme has been successfully tested for Compatibility with popular browsers like Chrome, IE10+, Safari and Firefox. This one-click installation theme comes with the narrated video tutorial and 24/7 technical support. You can have free updates and support for one year. The options panel lets you customize your theme with ease. The Photoshop PSD files allow you to edit the code and design. Charmed Pro supports the lazy loading effect. Lazy loading is an effective way of speeding up the website as the image gets loaded only when the site is scrolled down to its actual position. Comes with lightbox functionality that fills in the screen with the images while dimming out the rest of the screen. The Dynamic content loader in Arizona loads new posts without reloading the entire page. Social bar enables visitors to share the articles across social media like Facebook and twitter with ease. Arizona lets you to display related posts in a single color to grab the attention of the visitors. Powered with SMT Framework 2.0 and is designed to be a highly responsive theme. 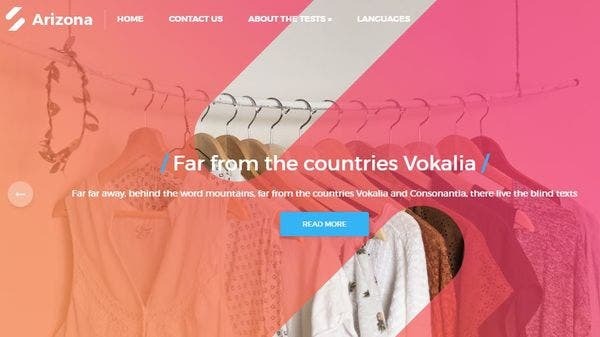 This colorful multilingual ready theme supports multiple portfolios, unlimited sidebars and widgets. 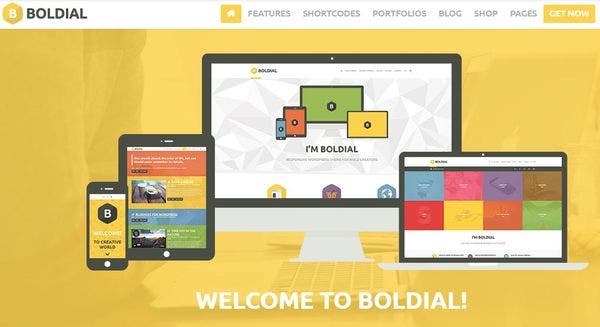 Boldial theme provides features like 3D cube & Extended Portfolio and 3D Flip portfolio options. This theme also provides extended support to Multilingual (WPML) and WooCommerce options. The collection of 300 Fontello Icons makes this WordPress theme more colorful and interactive. SKT Start-up Pro has been tested successfully for compatibility of many shortCode plugins. The home page of this theme is so unique that it lets you have even about 20 sections of content, thereby allowing you to have a one-page website or a long landing page. This theme is compatible with NextGen gallery and retina ready theme. 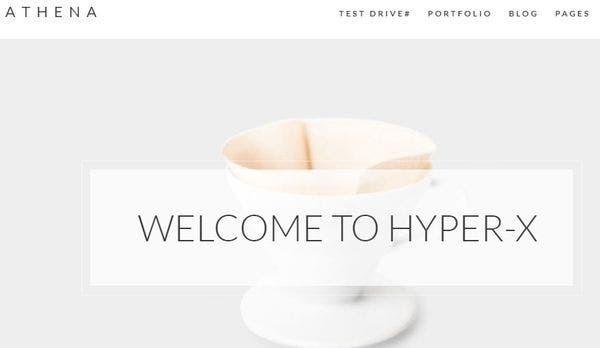 Design Agency Pro has a quick loading time and has been successfully tested for speed. It comes with an awesome collection of 580+ icons pack for social media sharing and other functionalities. 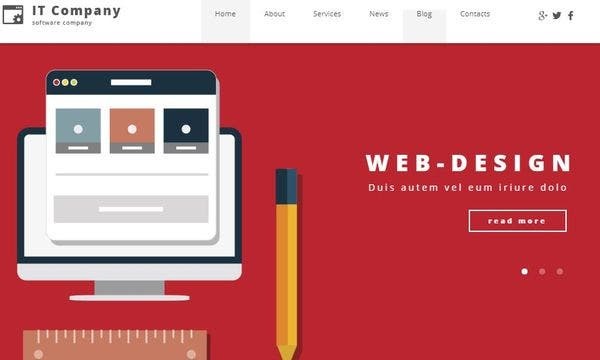 Supports sidebars Widgets for header and footer and compatible with latest versions of WordPress. Has an easily configurable slider which can be changed or replaced with another compatible slider plugin. 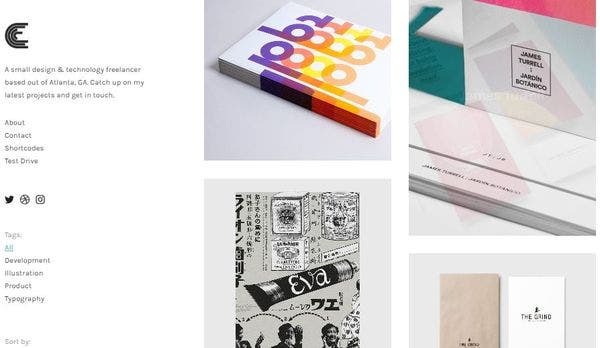 Show off your excellence in your professional through these feature-rich Portfolio Word Press themes and make the best impression in the eyes of the employer with these brilliant Word Press themes.